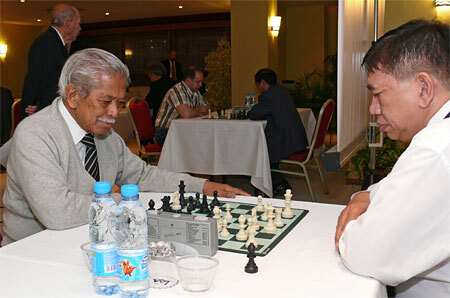 5/3/2010 – He was responsible for putting the Philippines on the chess world map, a player, organiser and teacher. In 1982 he was elected to the FIDE presidency and held the position for 13 years. As from 1995 he was Honorary President of FIDE and appeared in a ceremonious function at numerous events. "Campo", as his friends called him, passed away on 3 May, after a protracted bout with cancer. Eulogy. 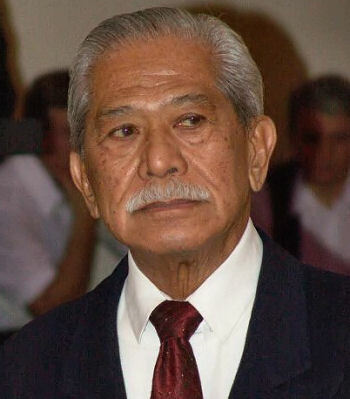 Florencio Campomanes was born in Manila and graduated in Political Science from the University of the Philippines in 1948. He studied at Brown University (Providence, Rhode Island) and earned his M.A. in 1951, following that with doctoral studies at Georgetown University, Washington, D.C., from 1949-54. As a chess player he was of National Master strength, and won the Philippine national championship twice (in 1956 and 1960). He represented his country at five Chess Olympiads: Moscow 1956, Munich 1958, Leipzig 1960, Varna 1962, and Havana 1966, facing Pal Benko, Ludek Pachman, Oscar Panno, Mikhail Tal, Miguel Najdorf and Lev Polugaevsky. He became involved in FIDE as a national delegate, and worked his way into prominence in Asian chess organization. He was close to the former Philippine President Ferdinand Marcos and helped organize the World Championship match at Baguio, Philippines, in 1978, between Anatoly Karpov and Viktor Korchnoi. Campo is best remembered as the President of the international chess organization FIDE. He was elected to that post in 1982, and held it until 1995, through several controversies, most notably the termination of the 1984-85 World Championship between Anatoly Karpov and Garry Kasparov without result, after 48 games. During his tenure in 1993 the Professional Chess Association broke away from FIDE, after which there were two world champions. On the positive side, the membership of FIDE grew significantly, by about 50 member nations. Campomanes was succeeded as FIDE President in 1995 by Kirsan Ilyumzhinov. 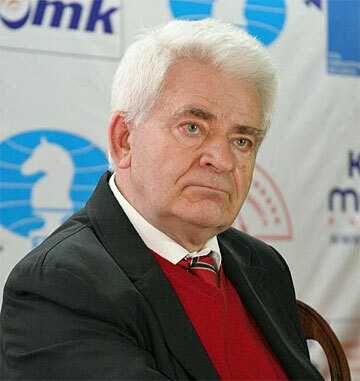 He was appointed as FIDE Honorary President, and was often present at significant international competitions such as zonal and continental championships, chess olympiads and world chess championships. In early February 2007, Florencio Campomanes suffered injuries from a car accident, at which time he was in intensive care. 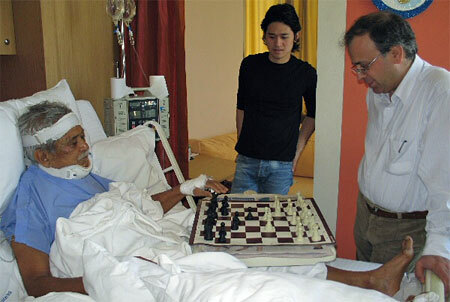 He was at the time already suffering from cancer, but continued to attend chess events. The last time we saw him was during the World Championship between Anand and Kramnik in Bonn, in October 2008. Campo passed on May 3, 2010, in the Philippines. My sincere condolences to the family and friends of Florencio Campomanes. Fortunately I had always very correct and friendly relationship with Florencio. I think that in the period of political opposition between West and East he saved the chess world from splitting. He showed his outstanding diplomatic talent – Baguio 1978 – and his further presidentship was evidence of that. Turned FIDE into a truly universal body by activity Asian,African, and Latin American Chess. 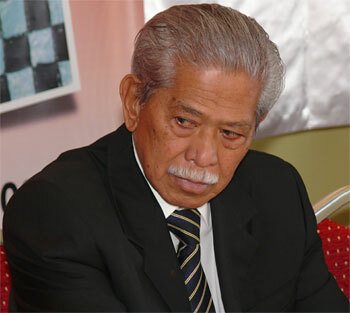 03.02.2007 – The long-time president (1982-1995) and current honorary president of FIDE, Florencio Campomanes, was badly injured in a car accident on his way to the airport after the FIDE Presidential Board meeting in Antalya, Turkey. After a 7½ hour operation Campomanes was said to be in stable condition. Details. 22.02.2007 – Three weeks ago Florencio Campomanes suffered a serious car accident and has been hospitalised in Antalya, Turkey, ever since. Today the long-time (1982-1995) president of the world chess organisation celebrates his eightieth birthday. We congratulate him and bring you a comprehensive look back at the Campo years.